SICOGIs Loukimane Camara and Megatron Federals Nick Mitchell celebrate the signing of the MoU. The view from Côte d’Ivoire’s iconic Hôtel Ivoire. Hôtel Ivoire’s amphitheatre was packed for the opening ceremony of Côte d’Ivoire’s first investment conference in 10 years. As a reflection of Côte d’Ivoire’s ongoing commitment to improving its business environment and making the nation an attractive investment destination, the World Economic Forum’s Global Competitiveness Index for 2014 – 2015 has ranked Côte d’Ivoire 115th this year, a significant improvement over our ranking of 126th last year. We are now ahead of many other African nations, such as Nigeria, Mozambique, Angola and Tanzania, and are continuing to work hard on improvements in processes and procedures that will move us towards our objective of being an Emerging Market Country by 2020. Megatron Federal’s Ryan Otto greets Côte d’Ivoire’s Prime Minister, Daniel Kablan Duncan. Ryan Otto, Managing Director of South Africa’s Megatron Federal, and an Executive Director of Ellies Holdings, met with Côte d’Ivoire’s Prime Minister, Daniel Kablan Duncan, in Abidjan last week. During their visit, Megatron Federal signed a Memorandum of Understanding with the Ministry of Energy to develop hydroelectric projects in Missiliou and Marabadiassa, Côte d’Ivoire. Côte d’Ivoire’s creative scene is blossoming with a new crop of ambitious, young animators. We are so pleased to have an Ivorian film screened at Cannes this year. 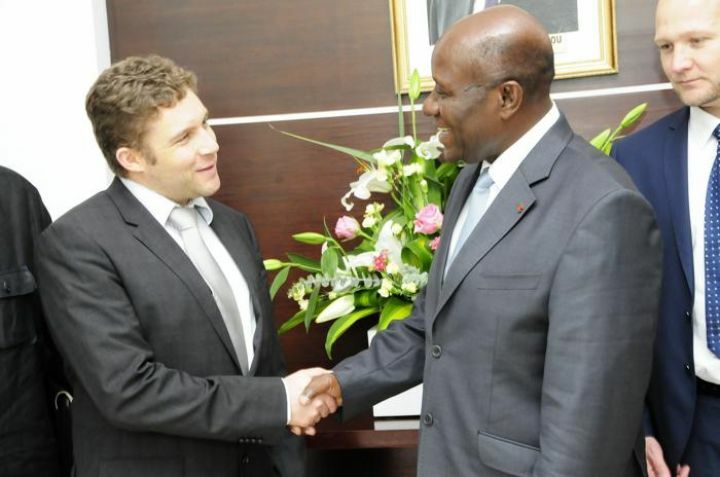 Congratulations to young Ivorian director, Philippe Lacôte! Côte d’Ivoire is proud to host Standard Bank’s Francophone African hub office. As the largest economy in the CFA zone, Côte d’Ivoire is the ideal launchpad for businesses looking for a foothold in this 300 million strong regional marketplace, and we look forward to working with Standard Bank and its clients to realise our economic potential. ABIDJAN, Côte d’Ivoire, May 9, 2014/African Press Organization (APO)/ — Standard Bank (http://www.standardbank.com) plans to use its presence in the Ivory Coast (Côte d’Ivoire) to expand its service offering across the rest of Francophone Africa, which the lender believes is poised to experience an investment boom as foreign companies are lured by the region’s mineral wealth and economic growth. This Friday, February 28, 2014, KPMG will host a dialogue on business and investment opportunities in Côte d’Ivoire at its offices in Park Town, Johannesburg, South Africa. 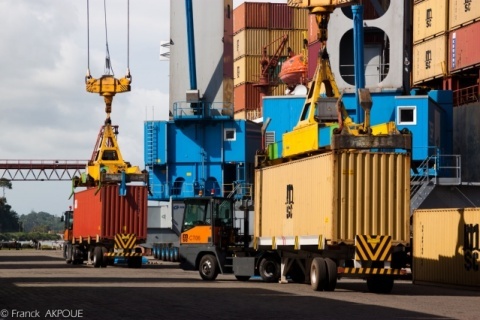 With growth of 9.8% in 2012, and 8.7% in 2013, Côte d’Ivoire is becoming an increasingly attractive investment destination and base for multinationals in West Africa. If you are in Johannesburg this Friday and would like to learn more about doing business in Côte d’Ivoire, you won’t want to miss this opportunity. For further details and registration information, please see KPMG Africa’s Blog.